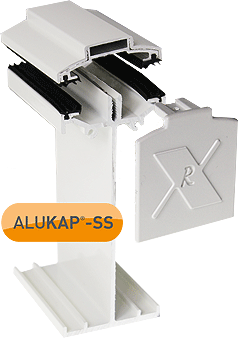 Product information "ALUKAP-SS High Span Main Bar"
Capable of spanning up to 6m! 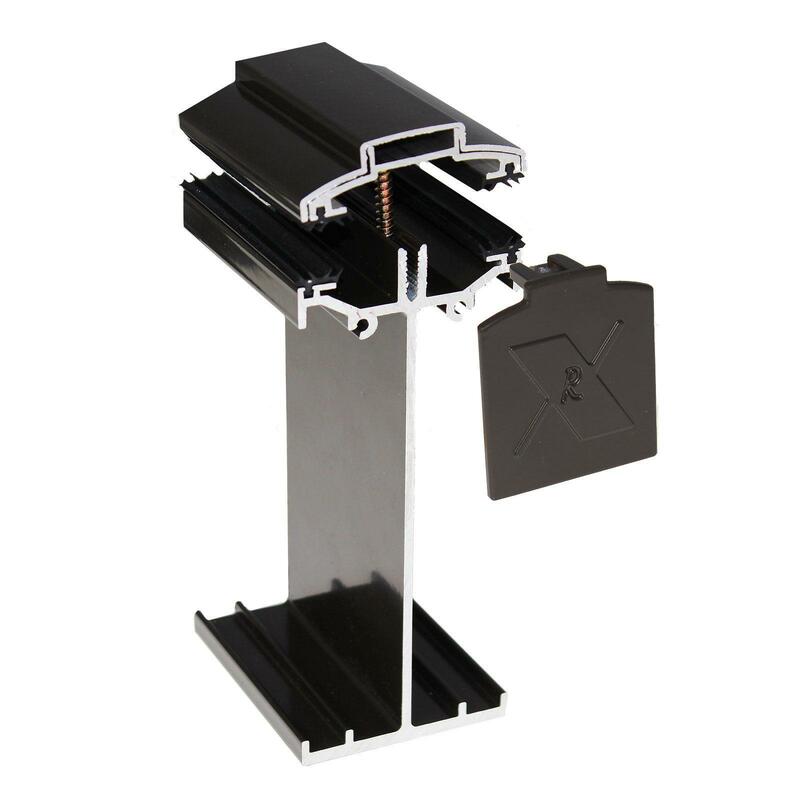 Lightweight and strong aluminium rafter for joining roof glazing of any type and thickness. This deeper high span version is suitable for spans up to 6m and is powder-coated for longer lasting durability. 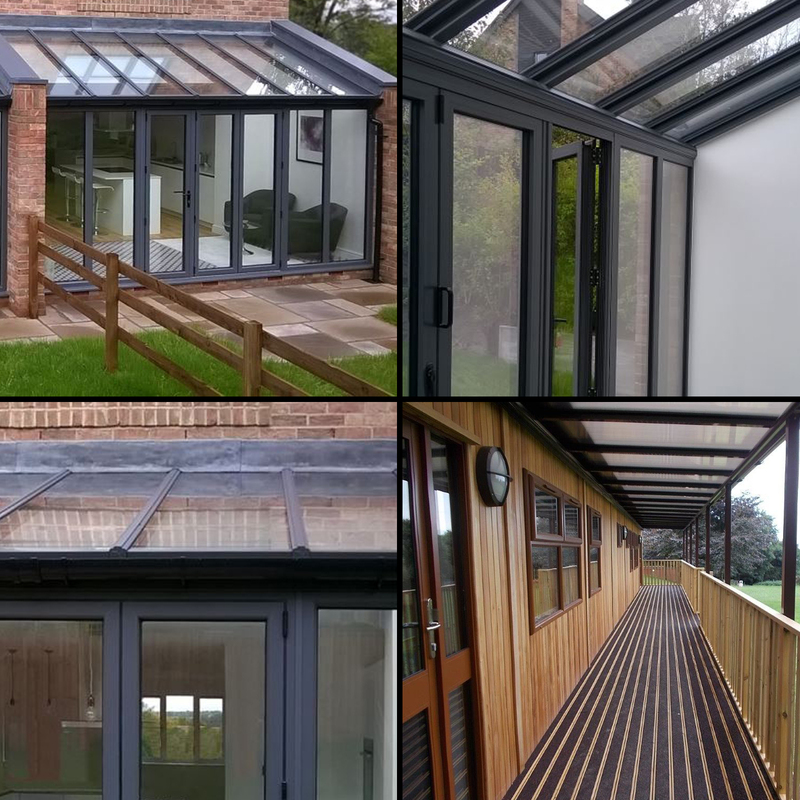 Part of the aesthetically pleasing ALUKAP-SS self-supporting roof system, which is fast becoming a favourite for decking and veranda covers, conservatories, carports, play areas and much more. Fast installation process means you can have it up in no time, without compromising on quality. 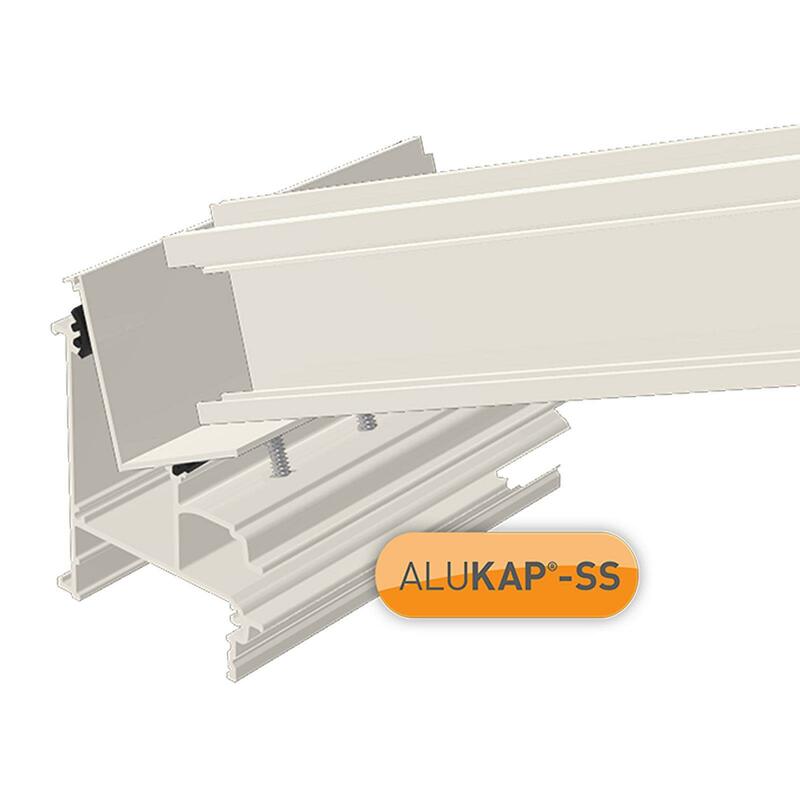 ALUKAP-SS delivers a complete self-supporting roof system, without the need for timber rafter support; everything is covered and designed to work easily together. 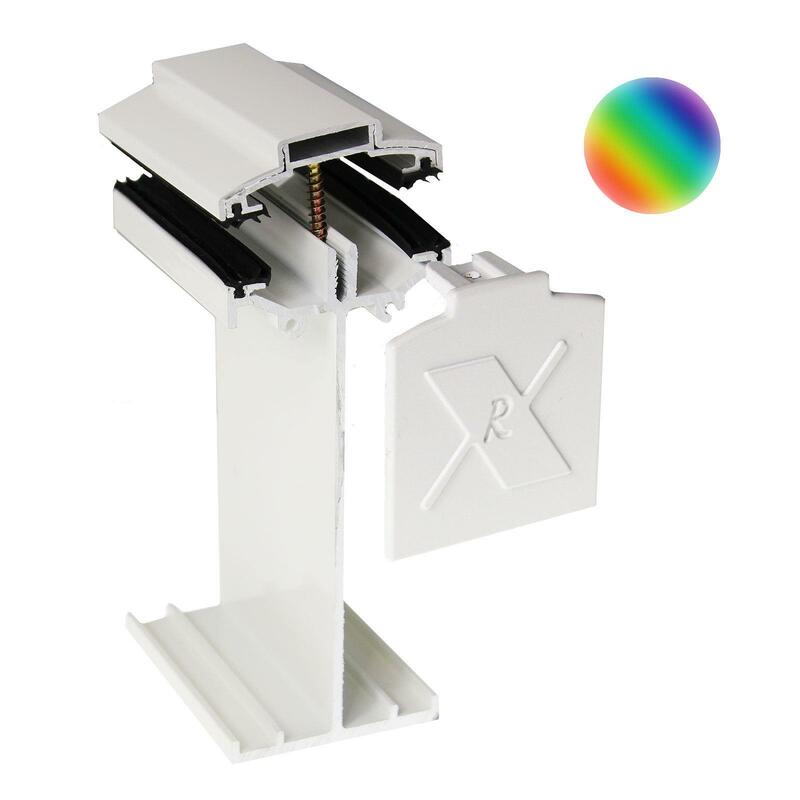 *Includes main bar and capping, will increase with glazing thickness. ALUKAP-SS bars should be ordered to the same length as the roof glazing material, or the next available size. 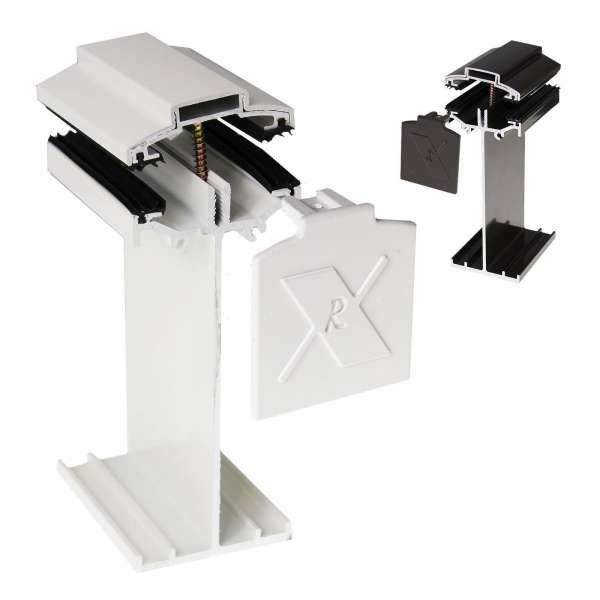 We recommend that glazing material stops 15mm short from host wall at the top (providing expansion gap) and oversails the Eaves Capping at bottom by 30mm (providing drip over the gutter). 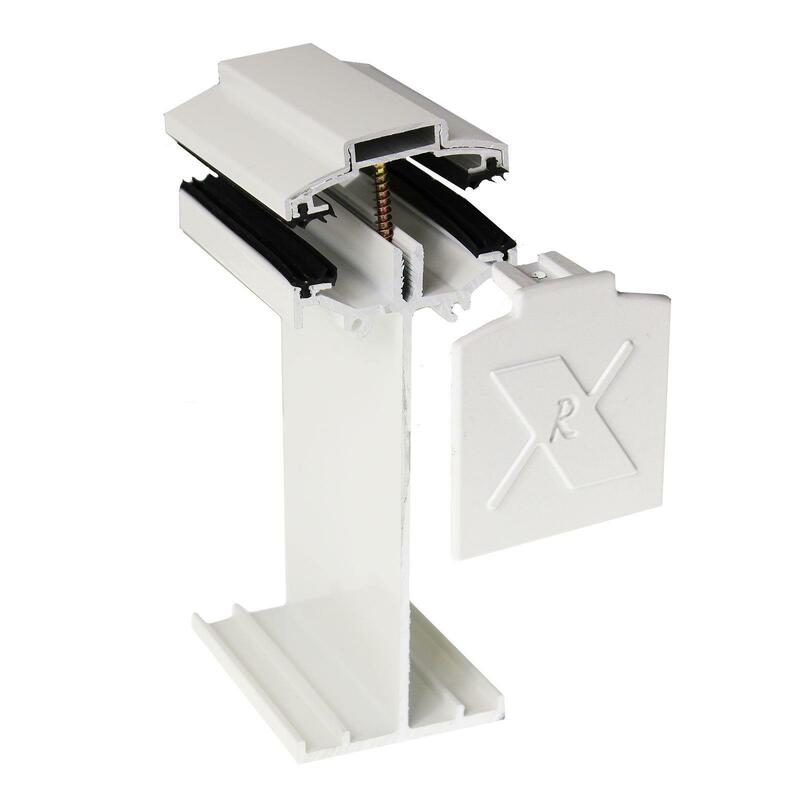 The ALUKAP-SS Top Capping is secured with screw fixings going into the Main Bar upstand. So glazing width deduction must be made to allow for them and expansion. 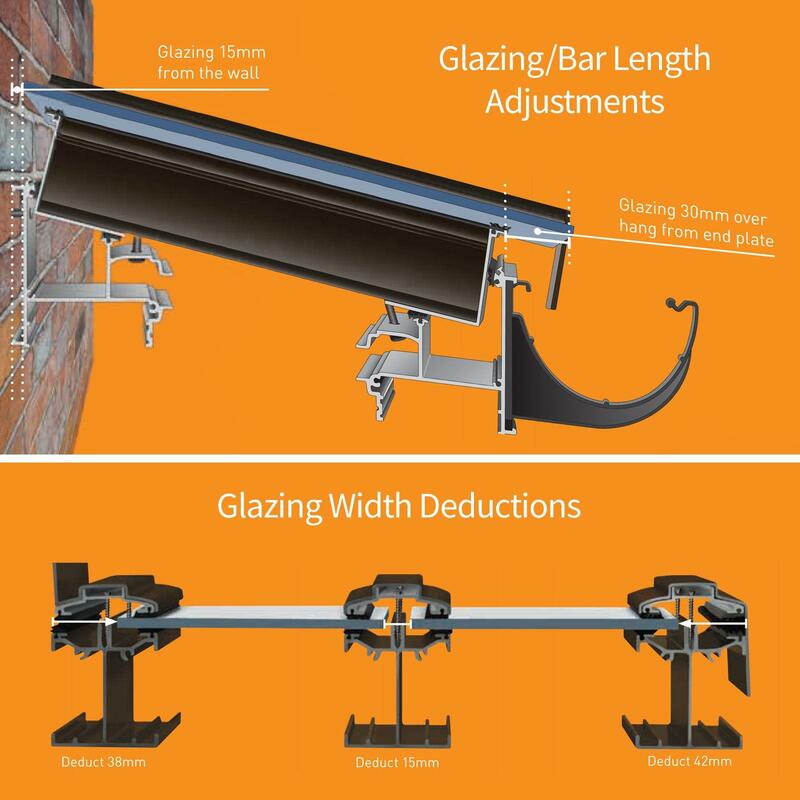 Glazing width should be reduced by 15mm from centre-to-centre measurement of neighbouring bars. If centre of one bar to centre of next is 980mm, then the glazing width should be 965mm (980mm - 15mm). This simple rule applies to the Main, Gable and Wall bars. The quantity of bars to cover the roof width is governed by factors including geographic location, roof pitch, projection from host wall and glazing material. Each factor affects the recommended glazing width, which affects the number of bars required. Generally speaking, the shallower the pitch and the longer the projection, the narrower the glazing width should be. Please get in touch if you would like a copy of the Technical Guide or Fitting Guide. 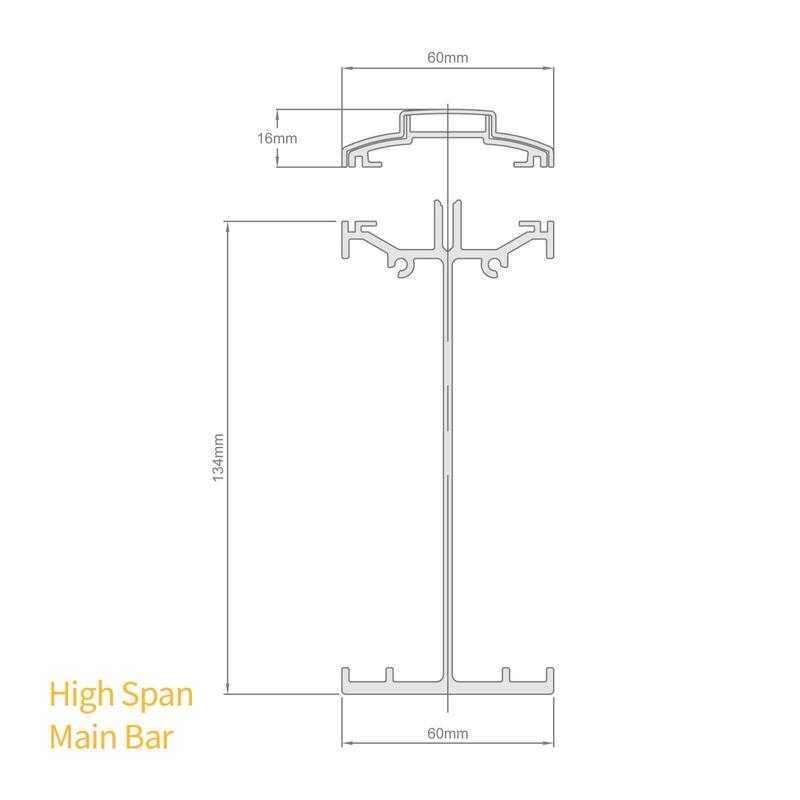 Related links to "ALUKAP-SS High Span Main Bar"
Customer review for "ALUKAP-SS High Span Main Bar"